Hitchcock – another biopic, you might think. Decidedly and disappointingly dull, you might think. But if you think those things, I can almost guarantee you that upon seeing the film you’ll change your mind. 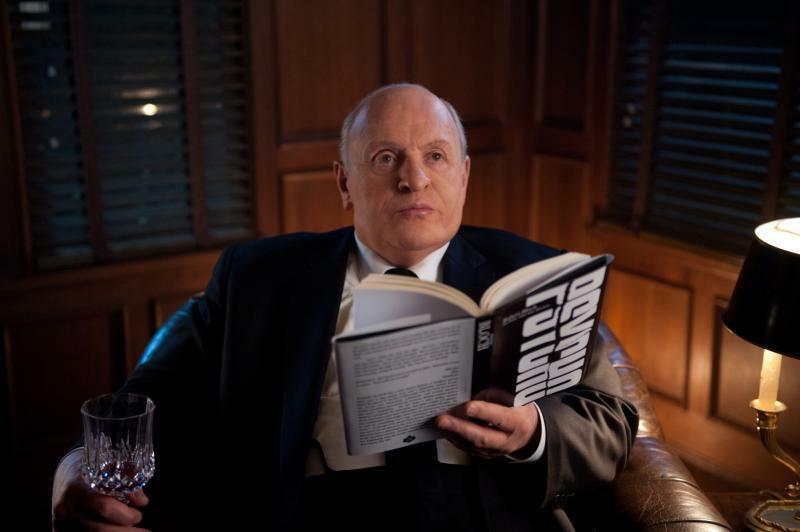 Hitchcock begins and ends with a breaking of the fourth wall, as Alfred Hitchcock (played by Anthony Hopkins) directly addresses the audience and makes self-reflexive remarks. Hitchcock is introduced as a filmmaker at the height of his success, whilst also a vulnerable individual who frequently succumbs to his love of food and the drink. His spouse Alma (Helen Mirren) fully supports him in every way, through both personal and professional matters. As the nature of their love unfolds in the biopic, audiences realise that the bond that Alfred and Alma share is incredibly endearing – this bond becomes the emotional core of the film. 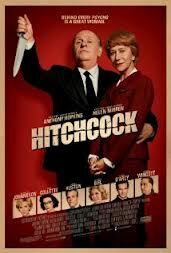 Of course, a biopic about Hitchcock would be meaningless if it failed to delve into his cinematic artistry. The plot of Hitchcock revolves around the supposed true events leading to the making of one of his most acclaimed films, Psycho (1960). Hitchcock explores the financial difficulties Hitchcock faced on the journey to making Psycho, his continuing struggle with what his celebrity and reputation meant during this period, his naturally voyeuristic tendencies in life that became manifest in his fictional films, and his peculiar treatment of actresses who worked for him. Surprisingly, it appears as though both fans of Hitchcock and cinema goers with no inclination towards the horror and thriller genres can enjoy this film. I can be categorised as the latter, and yet I found the watching of this film to be an extremely rewarding experience. There is enough love and emotion surrounding Alfred and Alma’s relationship to drive the typical romcom fan to tears. What is particularly touching is the fact that despite both opportunity and temptation, neither Alfred nor Alma act on their feelings of infatuation for others. Hopkins and Mirren also make for one of the most believable film couples I have ever witnessed, and watching them on-screen, you really do feel as if they have been married for decades. As for fans of Hitchcock, well, apparently Scarlett Johansson impersonated Janet Leigh’s look and mannerisms to a tee. Hopkins, after hours of make-up I presume, made a very formidable Hitchcock. In Hitchcock, Hopkins transforms into this slow speaking man of considerable girth, and effortlessly does not resemble himself in any way. These last few years, cinephiles have been graced with biopics that not only explore the lives of famous celebrities, but that explore them in inventive ways. In particular, I can’t help but compare Hitchcock to My Week with Marilyn, which was released just last year. Neither Hitchcock nor My Week with Marilyn attempts to explore a life the old-fashioned and arguably boring way, in chronological order from start to finish. Instead, these biopics both focus on one aspect of the celebrity’s life. In My Week with Marilyn it was a period of time spent with a practical stranger; in Hitchcock it is the obstacles that Hitchcock overcame in order to create one of the definitive films of his career. In conclusion, Hitchcock differs from the usual biopic in so many ways. Aside from that, the cast is painfully perfect, and there are definitely things to love, for both fans of Hitchcock and fans of romcoms alike.